Sugar Free No Carb Peanut Butter Cookies! You are here: Home / Recipes / Dessert / Peanut Butter Cookies: Keto Sugar Free Low Carb Recipe! 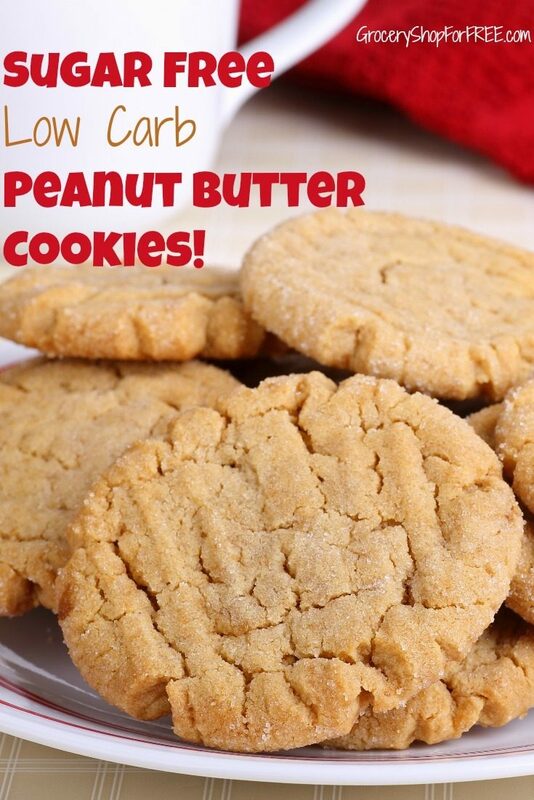 Peanut Butter Cookies: Keto Sugar Free Low Carb Recipe! I’m cooking again! Ok, Ok, don’t faint! hehe Peanut Butter Cookies: Keto Sugar Free Low Carb Recipe! Good Cook sent me some fun baking tools, I don’t do a lot of baking but, I’m game! So, I set out in search of a Keot, low carb, no sugar cookie recipe. I got close – I was able to make them no sugar and the only thing that had carbs was the icing & peanut butter. Y’all know I only eat sugar free, and as carb free as I can, if you don’t know why you can read about my weight loss journey and the reason behind it! I don’t want to give up things in my life to be Keto or sugar free – my reasoning behind that is this: I think many people don’t keep up their weight loss and end up yo-yo dieting which is very bad for your health, because they gave up things they really enjoyed and it was too hard. I wanted to make sure whatever I did it was something I could do for the rest of my life. That’s why I didn’t choose to lose the weight by exercising, I knew if I did – I would NEVER keep that up! I HATE exercising! I always try and find a way to be able to change what I like to fit my new lifestyle, and that’s what it has to be when you do this a complete lifestyle change. So, make sure you think about it that way before you start and you’ll be more successful and it will make it easier, I have lost over 100lbs and kept it off over 5 years now. On to the Peanut Butter Cookies 🙂 They’re very simple to make and have very simple ingredients! 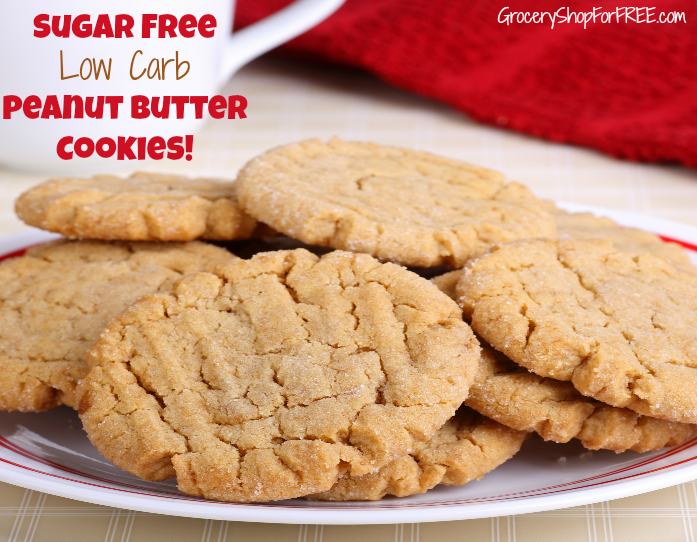 Peanut Butter Cookies Sugar Free Low Carb Recipe! Press into cookie cutters, or just drop the mix by spoonfuls on to the cookie sheet. Press with fork to make those oh so famous marks in them. Bake in the preheated oven for about 8 minutes or until the center is dry. We used a sugar free store bought icing in Squeeze Bottles to decorate the cookies! For one of the batches I used the Good Cook Sweet Creations Cookie Cutters and filled them with the dough to shape them! So, next time you’re looking for a quick guilt-free snack – give these sugar free low carb peanut butter cookies! These would be better if stevia,was,used instead of Splenda, Splenda is not good. Thanks for the tip! I will!